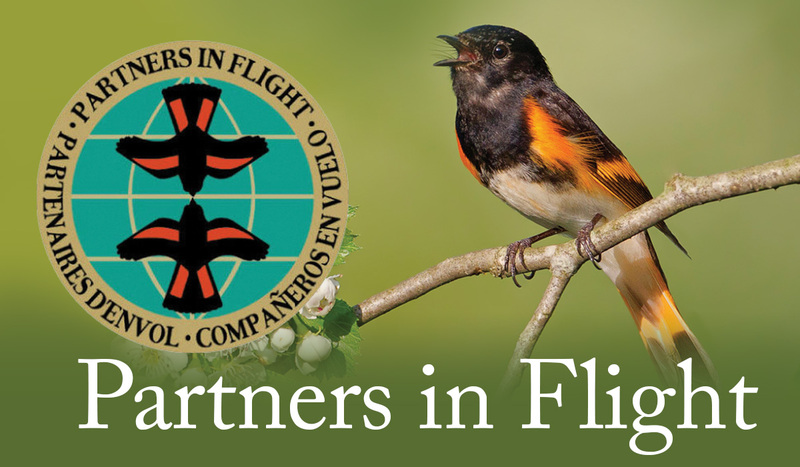 Partners in Flight (PIF) is a dynamic and welcoming network of more than 150 partner organizations distributed throughout the Western Hemisphere. We are engaged in all aspects of landbird conservation from science, research, planning, and policy development, to land management, monitoring, education, and outreach. 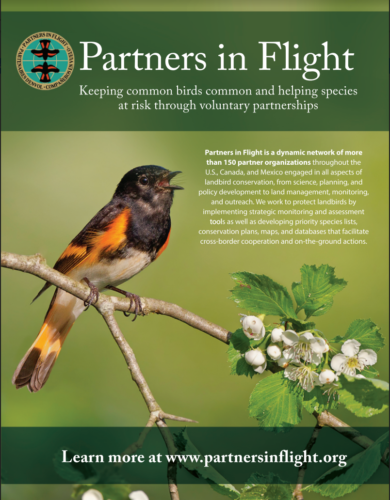 We are all dedicated to PIF’s simple, proactive mission: Keeping common birds common and helping species at risk through voluntary partnerships. To halt and reverse bird population declines before they are listed as threatened or endangered is a cost effective and common sense business model for the future.